If Kelly Harper is hired (I prefer Walz) for her husband to be on staff he would have to be co-head coach that is how Ralph and Karen coach together. Think that would fly? We could do worst than Kellie but I think we could better too. She was a tough minded and tough player. Yes i do think that would fly because they have been together for many years doing what they are doing now. I have watched them for many times and he is in her ear all the time and she would not be so power hungry that she would care. JMHO as always! I don't pretend to know, but I remember a time when nepotism was discussed and if I recall correctly, the Athletic department didn't have to adhere to the same rules as regular state employees. It may have been when Kiffin hired his dad. I could be wrong though. This is a quote to me fromDP12 earlier about the question about volleyball! Louisville's women's program is operating at a -$4 mil a year clip. How many of those years can they take? Go to the Final 4, lose $4 million. Their men's programs can only carry this financial burden for so long. Yep, in all honesty they should be hoping Walz leaves so they can hire someone cheaper and go back to being average but not breaking the budget. Their recruiting budget is a third of UK's women's team according to the article I read. Louisville can't afford to win in women's basketball. Not many programs can. No argument from me on that. Have also heard Wes Moore, Kellie Harper, and Gail Gestenkors are being interviewed this week. It was on some radio show. Just wondering, why do you want to be so hateful? Your mean comment was unnecessary. My post about Jeff was accurate though. I wish Jeff was being considered. If Walz turns us down Moore and Kellie were in next two but I never liked GG but she may be ok as well! According to what source was your post accurate? If Walz did leave Louisville, I know who I would hire. Michelle Clark-Heard. Excellent coach! I would almost bet that Louisville would wave his buyout just to get rid of his contract. Maybe we can get him an interview. Or Leggett-Jack from Buffalo, seems she would fit well there and she’s a heck of a coach. When I read this entire article it sounds to me like Tyra is very nervous. He can’t even come close to matching the resources Jeff would have at his disposal at UT. And what is he talking about with the recruits? In his entire tenure at Louisville Jeff has only been able to draw a handful of top recruits to the program. He could get that many in one season at UT and Jeff knows it, he’s not stupid. Over the last 10 years the biggest recruits I can think of to attend Louisville are Angel Mccoughtry, Shoni Shimmel, who wasn’t even that highly recruited, Asia Durr and Dana Evans. I’m sure I’m forgetting some that didn’t pan out, but still that’s only 10 high profile recruits, maybe. Perhaps he (Walz) is actually the reason Louisville has not had super recruiting classes. 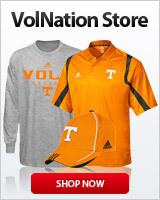 If that is the case the Lady Vol brand will not be a silver bullet. Yeah but her tenure at Indiana was worse than Harper's at NC State. Penn St. seems interested tho. Just curious if anyone knows, who is normally interviewing besides the AD and are the interviews normally at a neutral location. Automatic disqualification on the interview - If a question is asked and the reply is 'I don't know'. I would expect Kara Lawson to be included on the hiring committee. Then why is she being considered for the Lady Vols job? Unbelievable.